Violence in Parliament over Telangana? Vinod Kumar Binny , the expelled AAP leader,JDU MLA Shoaib Iqbal and Independent MLA Rambeer Shokeen have threatened to pull the AAP govt down in the national capital if their demands were not met. 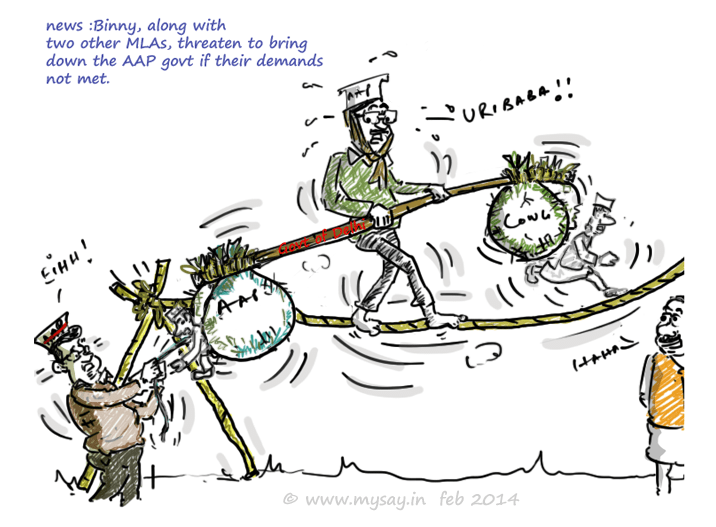 There is lot of balancing the Arvind Kejriwal govt will have to do in order to retain governance. 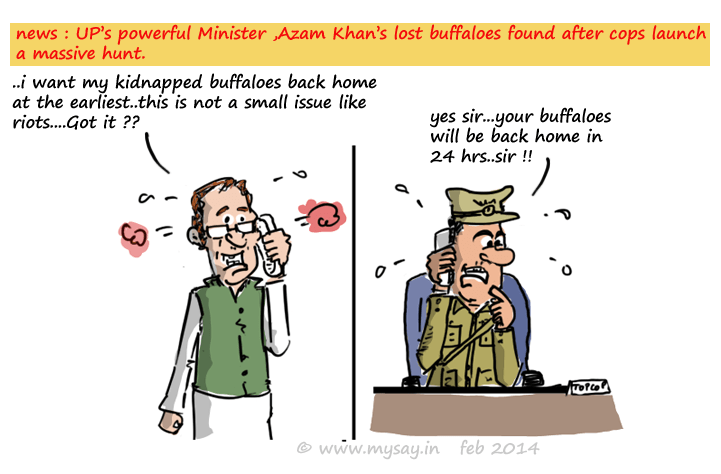 Is it not the same old politics in a new package ? 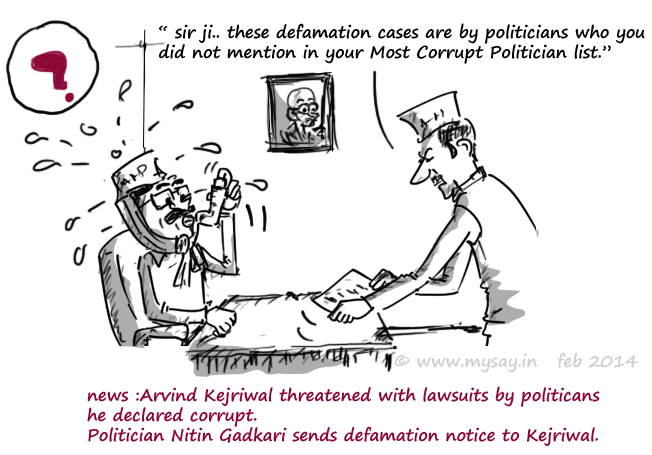 Delhi CM and AAP Chief, Arvind Kejriwal disclosed a list of 24 “India’s Most Corrupt” politicians which includes big political names like Rahul Gandhi,Kamal Nath,Kapil Sibal,Nitin Gadkari .As it happens in such cases, it attracted ‘defamation case’ warnings too.While some politicians were still threatening, Nitin Gadkari of BJP has already sent Kejriwal a legal notice asking him to apologize. 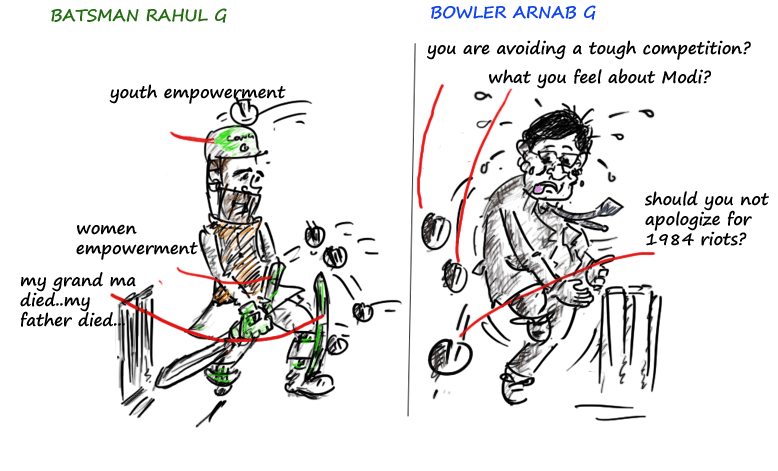 Rahul Gandhi 'Frankly Speaking' with Arnab Goswami? Rahul Gandhi’s very first official interview since joining politics and that too on ‘Frankly Speaking with Arnab Goswami’ has drawn a queue of controversies.Some say he should have apologized for the 1984 Sikh riots and some say how he could accuse Modi of 2002 Gujarat riots when the Supreme Court has declared him clean. This interview has made Rahul Gandhi as smart as Rahul Mahajan looks on TV screen,forsure! Dear Visitors,I request you to please spare a few seconds more to give your very valuable feedback on how am I doing. 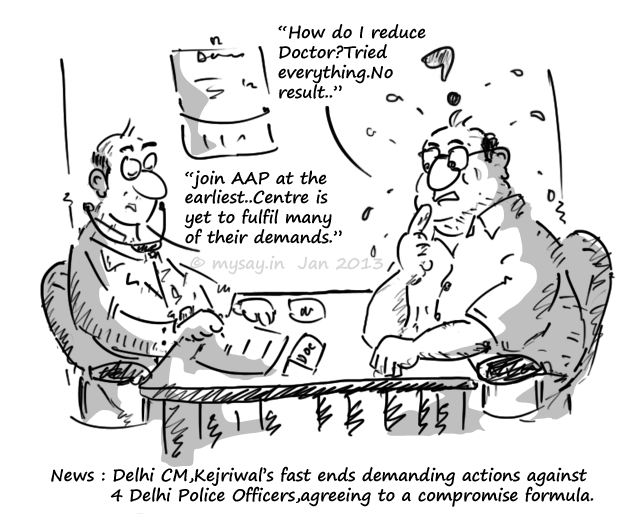 Kejriwal's fast ends on Compromise formula! Sitting on a fast ,demanding statehood of Delhi,state control of Delhi Police and suspension of four police officers, Delhi CM and AAP supremo,Arvind Kejriwal, called off his fast after Lieutenant-Governor,Najeeb Jung, agreed to send two police officers on leave pending an inquiry.